Find the perfect present for Dad with this collection of Fathers Day craft projects. This collection includes easy knitting projects, crafts for kids, homemade cards, and more. 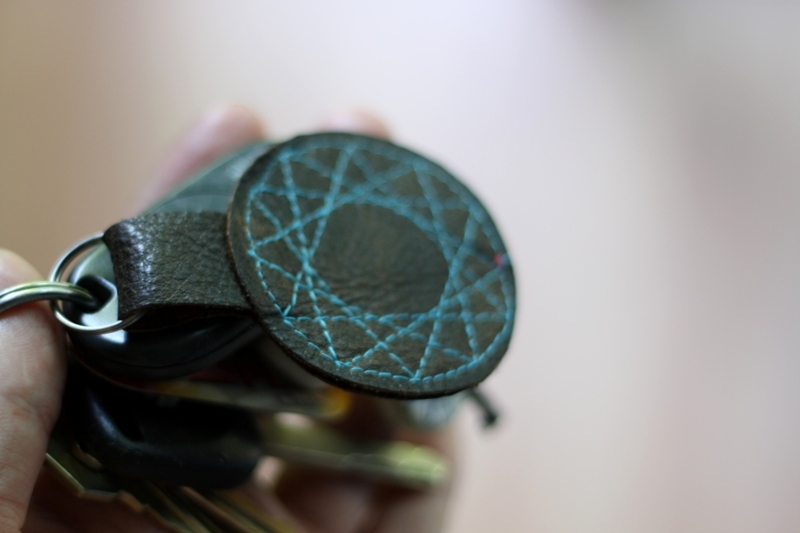 Cut and stitch a leather key chain for Father's Day with a geometric design. 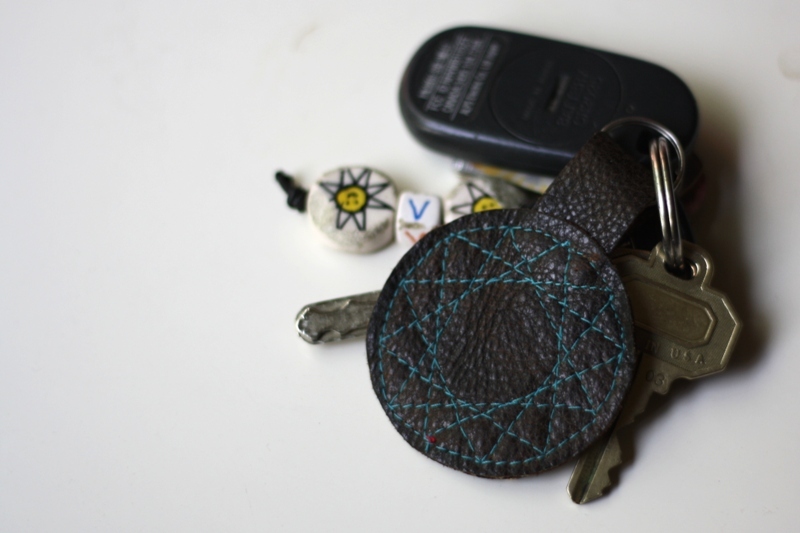 This homemade gift is easy to make and very stylish for Dad. Project designed by Jenya of MyEvaForeva. Find this project in the free Father's Day Crafts: Blogger Edition 2010 eBook. 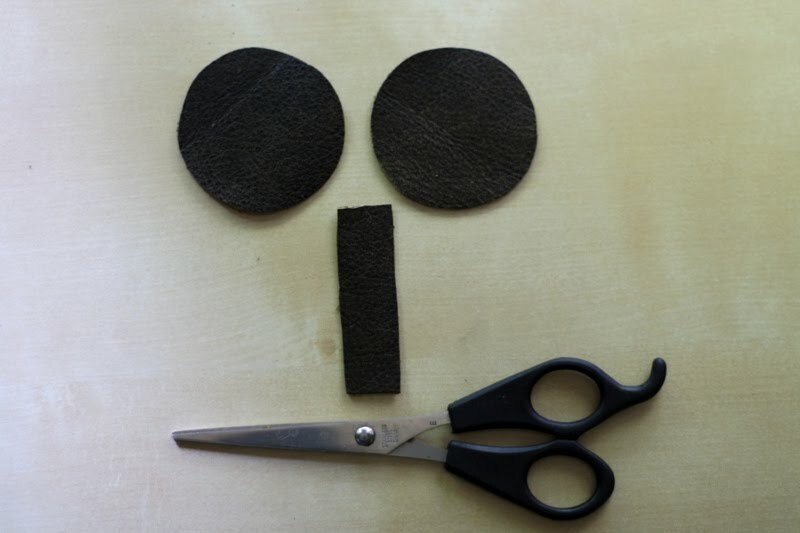 I first cut out two circles and one rectangular out of leather. I used chalk to mark the corners. First I made the first four marks(like 12, 3, 6, and 9 on the clock). I then added two extra lines in between each of those. 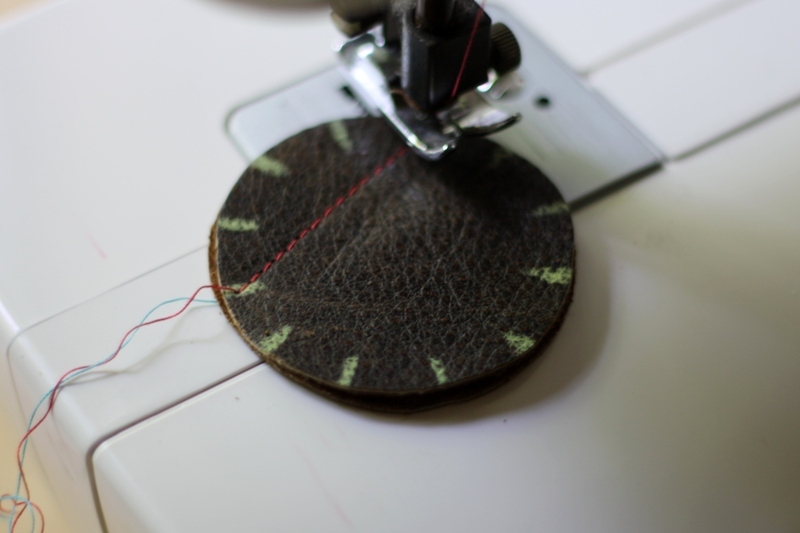 Before I begun sewing I placed a drop of glue between the two layers to keep the pieces together. I started stitching from the "first" mark, skipping three, to the "fourth". 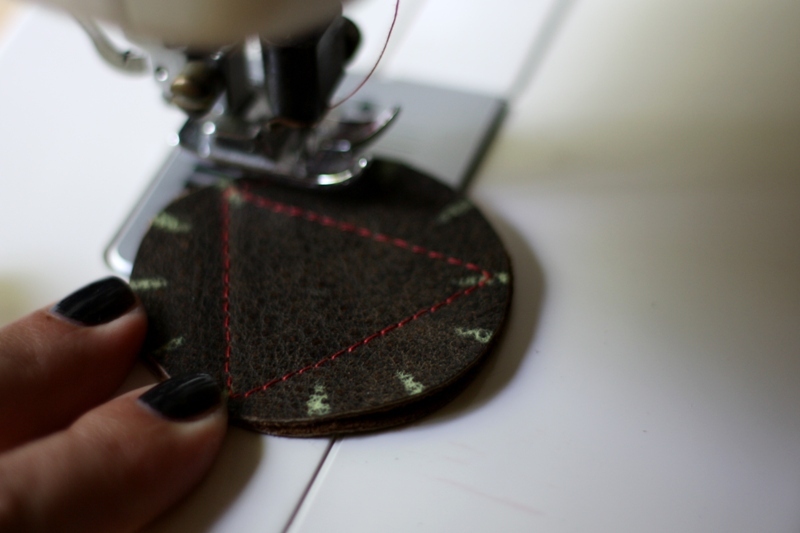 After I got the triangle shape I stitched towards the "fifth" mark and started stitching the triangle again by skipping three marks. I almost forgot to sew in the holder loop. I made sure to finish all triangles and stitch along the edges. Then I erased the chalk and applied some baby oil to the surface and the edges of the finished key chain. This is great, I have been wondering what to do with the small scraps of leather I have...now I know, Thanx!